We’re always looking for new book recs to add to our (never ending) TBR. For today’s post I’ve brought YA fantasy books recommended to you by a bunch of amazing book bloggers! Hope you find some new favorites in this list, and do give these amazing bloggers a follow. 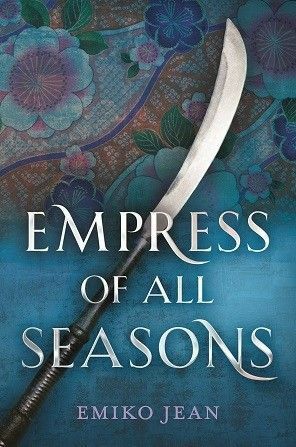 Aki: I would highly recommend reading Empress of All Seasons if you’re into Japanese-inspired books (actually, even if you’re not). It has an amazing world building with a great plot that will leave you at the edge of your seat. Also, you will surely be blown away by how this book ends and what Emiko Jean truly wants to convey through this story! Empress of all Seasons is incredibly jaw-dropping! Another one I would recommend is Caraval by Stephanie Garber! A remarkable read with its magical and stunning world plus Stephanie’s exceptional writing style. An embodiment of unreliable narration that everyone should give a try! 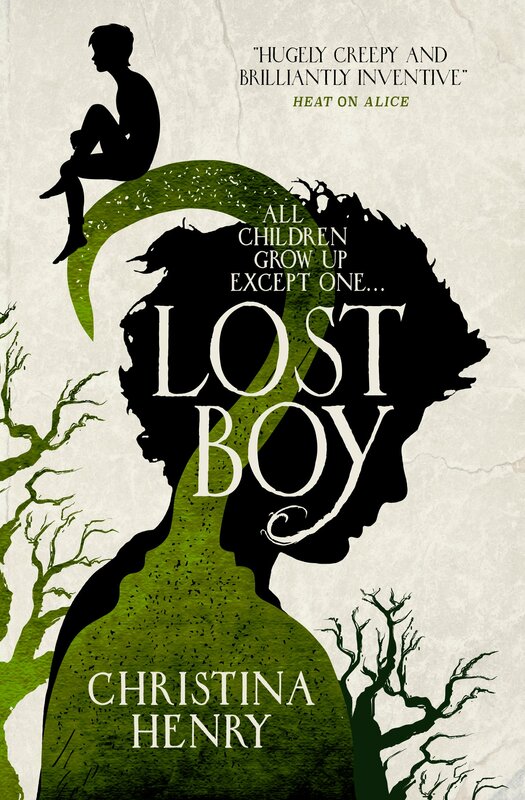 Ellyn: Lost Boy is a great twist on the original Peter Pan story with really interesting Neverland lore – the author really goes into how the boys live on Neverland and how the characters became who we know from the original book. We also really get to know these original characters in a different light which really adds to the original novel and my appreciation for said characters. Honestly, this book just gave me such a great appreciation for Neverland as a whole, and I now absolutely want to analyse the origins of the land and how people think Pan got to and survived on Neverland. Three Dark Crowns is a fantastic dark political fantasy. I know most of us have already heard of the series, but not that many people have actually read it, which is nuts to me! The story is about three sisters fighting to the death to rule over their kingdom and each of these sisters has a power or knowledge over a certain element: poisoner, naturalist, Elementalist. This is a great, complicated and intelligent series full of friendship & great twists and turns and I absolutely love it! Ashley: Creating a society of witches and heartless that are at war with the humans, with a play on the “witch hunt” idea and sprinkled with unique elements I have never read all wrapped up in a fantasy setting. Sara Wolf really outdid herself in telling the story of Zera in Bring Me Their Hearts. The moment you start this book you are thrown into a world with such intriguing world development/building that Wolf so brilliantly weaves together the story with the background information so that you see the whole picture layed out in front of you. This Asian inspired fantasy explores a unique caste system, a forbidden romance and some darker topics while showcasing a complex beautifully developed world with a cast of characters that have you feeling all types of emotions.Lei showed a strength that isn’t seen in many fantasy novels, so many times the focus is on physical strength, but Lei’s strength was an inner one, filled with courage and bravery. Krisha: This is one of the best fantasy books ever. 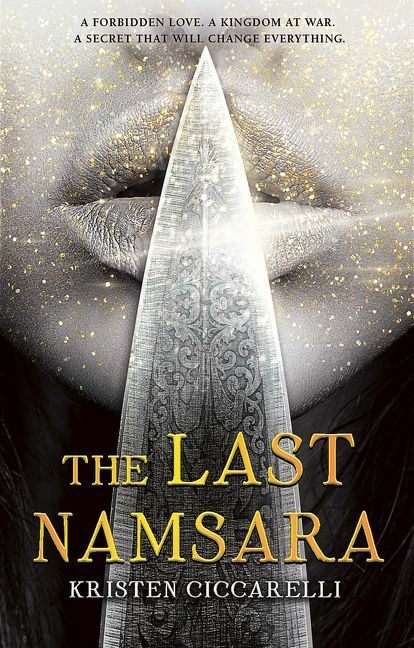 I love everything about the book: the characters, the storyline, the unique plot and the beautiful writing.I would recommend this series to every fantasy lover because this is one of the best out there with some of the best characters you will ever read about. Indy: An Australian fantasy/dystopian series about a girl with enhanced mental abilities who is taken to Obernewtyn, a facility that is supposedly looking into curing “Misfits” and later is chosen to save the world from another nuclear holocaust. Elspeth struggles with the two sides to her lives, as her role as the Seeker often takes her away from the ones she loves. The series talks about various relationships, environmentalism, prejudice, tolerance, freedom, and human/animal rights. I love this series so much, as it didn’t shy away from difficult scenarios and the different relationships we have over the course of our lives. There’s also a very slow burn romance that is so worth the wait. The various cast of characters grow on you in unexpected ways and there’s nothing predictable about this series. Posion Study is about 19 year old Yelena who has been living in a dungeon awaiting her death sentence when she is appointed the role of food taster to the military leader of Ixia. This series is such a fun and interesting one, as Yelena is a very complex character, and explores her managing and healing from various encounters from an abusive childhood. The cast of characters and the amazing setting is enough to keep you going, as this is the first in a series of 6. It’s quirky, fun and at times very serious, but would highly recommend to any fantasy fan. 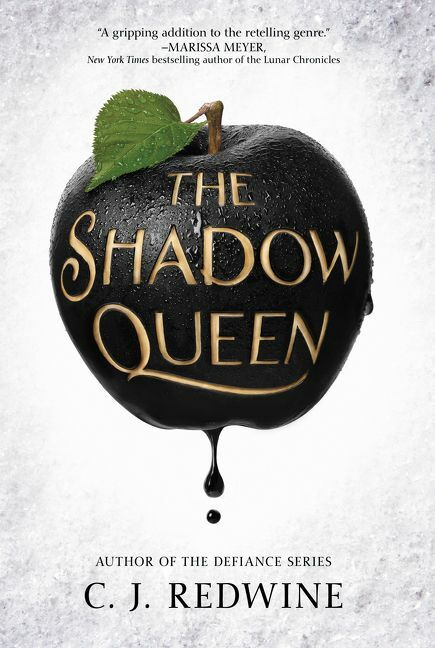 Heather: The Shadow Queen is one I just finished recently and I loved it! It’s a Snow White retelling and it reminded me of Once Upon a Time, which is my favorite TV show. It has such interesting and lovable characters (including a telepathic pet falcon that argues with the protagonist about how ungrateful her human is for not eating her dead mouse she caught for her. The worldbuilding is great and the magic system is unique and interesting and I loved literally everything about it! If you love retellings or OUAT you should definitely check it out! 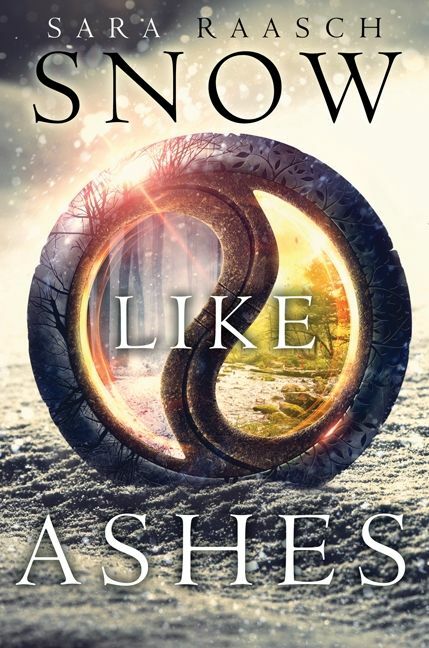 Snow Like Ashes is one of my FAVORITE series! I still need to read the last in the trilogy, but I loved the first two books! The worldbuilding is so fun to read about because there are countries where it is winter, spring, autumn, or summer all the time, and four other countries where the seasons cycle normally, and it’s a big part of the plot. The main character Meira, is from Winter, so she kinda reminds me of Elsa from Frozen, which is one of my favorite Disney movies. 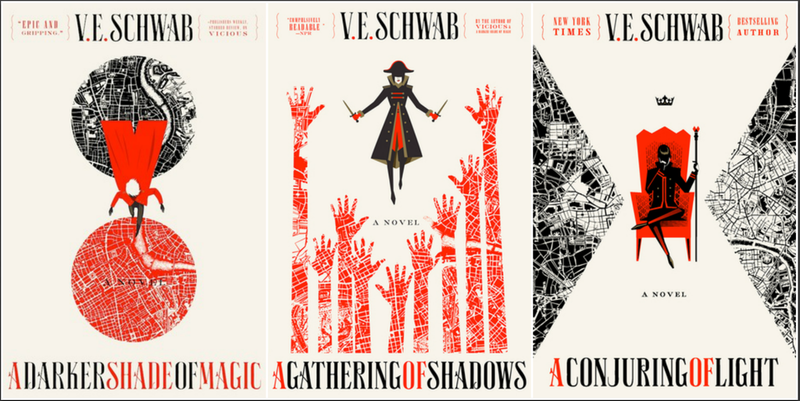 This series is intriguing but not too complex, so if you are looking for a great series to break into the fantasy genre, definitely start out with this one. Another one of my favorite movies are Pirates of the Caribbean, and my favorite thing about Daughter of the Pirate King is definitely the sassy characters! Especially the protagonist, Alosa. It says right there in the cover that she’s basically a female teenage Jack Sparrow, and she so is! So if you like incredibly sassy dialogue and Pirates of the Caribbean, check out this book! Rain: The Poppy War. If I had a dime for every time I recommended this book to somebody, I’d be able to buy a whole bookstore and add more books to my infinite TBR pile. 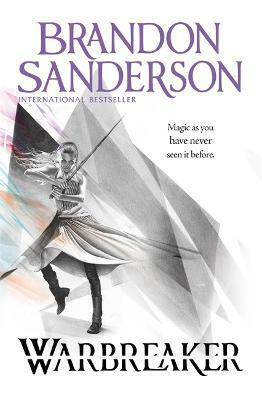 This book completely transports you to a world full of magic, complex characters, and bloodshed. 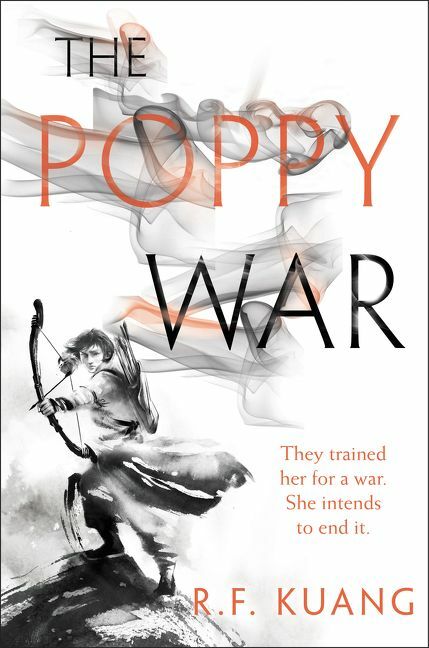 The Poppy War is a masterpiece you do not want to miss. The Cruel Prince is the kind of book that will haunt you long after you’ve finished reading it. Complete with political intrigue, Fae content, and blood and murder, this book will definitely pull you into its depths and will leave scorching imprints into your brain. It’s a fantasy book that will keep you up all night and will make you contemplate Holly Black’s brilliance for writing this enthralling tale. I’ve said it a hundred times before and I’ll say it again: Brandon Sanderson is the king of world-building and magic systems. Warbreaker is magical and undoubtedly brilliant. Sanderson’s writing style and complex plot will keep your eyes glued to the pages until the very end. This is definitely a fantasy book worth reading over and over again. Lisa: I recommend His Fair Assassin as older fantasy series are often forgotten for the new and this one is amazing. Full of the perfect mix of badass assassins and romance, each follows a different assassin and you feel every emotion of Ismae, Sybella and Annith. 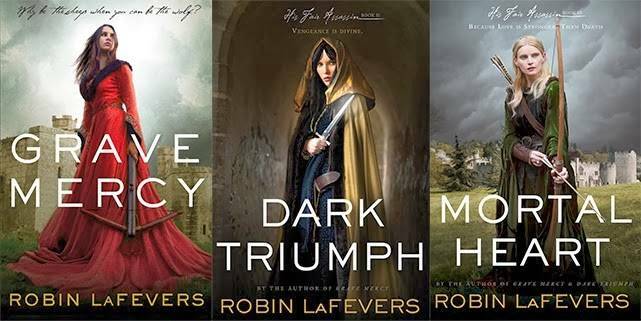 It is the perfect time to pick up the series as a new duology is set to come out Feb 19 and they are easy to binge read. 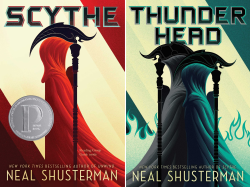 Arc of Scythe is a fantastic series that blew up in the YA world, after reading its easy to see why! The first book takes you on an emotional rollercoaster ride from start to finish and the second rips your heart out. The insight the Thunderhead has about humans is frightening in its accuracy. This is a novel that will have you thinking long after you finish! Amanda: Man this book defied any expectations I had going in. I knew this story had dragons and a girl warrior and that was it. But the way that old stories play such a key role was so interesting and gave the story an old world feel. I also just love the classic story of a girl discovering what she’s really capable of and finding someone who helps her discover that. It gave me total Princess Mononoke vibes which was just amazing. This was an action packed and sweeping desert fantasy that fans of the genre need to read! Any favorites? What books would you recommend? Lost boys sounds awesome. I have poison study but just haven’t read it yet. Right? I’m really considering reading it. Lots of good choices there. Added several to my GoodReads. The only one that I had read was Poison Study, and it is very good. The whole series is. Great post! I just added a bunch of new books to my radar. I’ve been meaning to read The Cruel Prince for so long, but I think I’ll finally be able to read it this month!